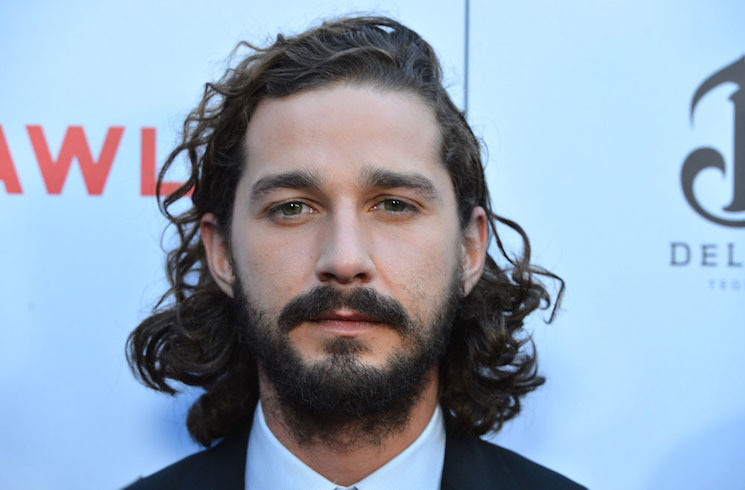 Actor and internet provocateur Shia LaBeouf has been hospitalized after suffering a massive head injury onset in North Dakota. The 29-year-old actor was shooting a scene early this morning (June 24) for the forthcoming film American Honey. The scene required him to have his head pushed through a glass window. Something went wrong, and the actor suffered abrasions on his head and index finger. He was required to get 20 stitches and 13 staples, then sent home. He's expected to return to set tomorrow. Watch Shia LaBeouf say the word "no" a bunch of times below.